Mullender, S.J. (1986). 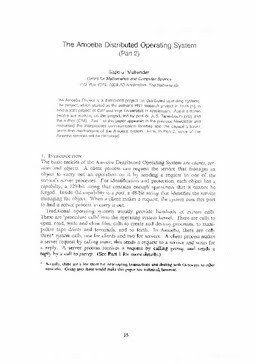 The Amoeba distributed operating system, Part 2. CWI Newsletter, (12), 15–23.